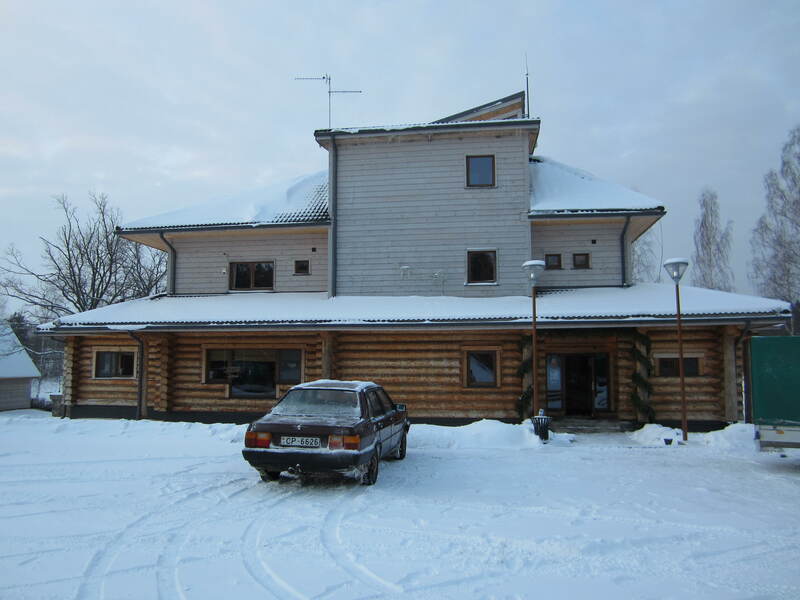 Latvia is a small country, with low mountains but with a lot of forest. 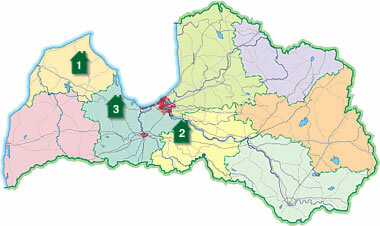 We hunt in the west half of the country which is the best one. 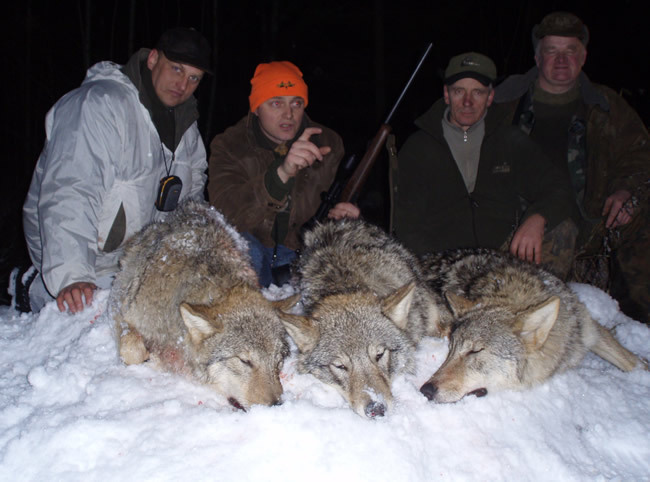 Usually the hunting areas are about 2-3 hours drive from the airport of Riga. 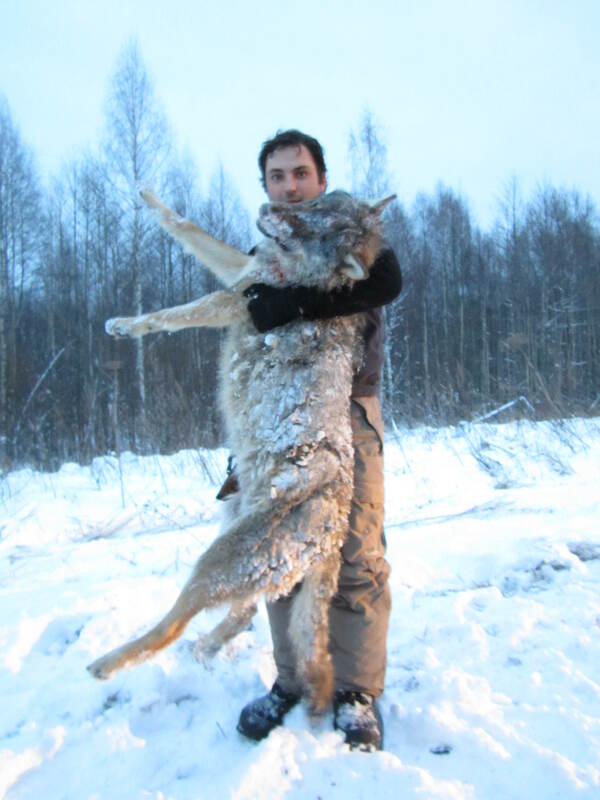 Here we can hunt: moose, wild boar, red deer, wolf, linx, roe deer and some small game. 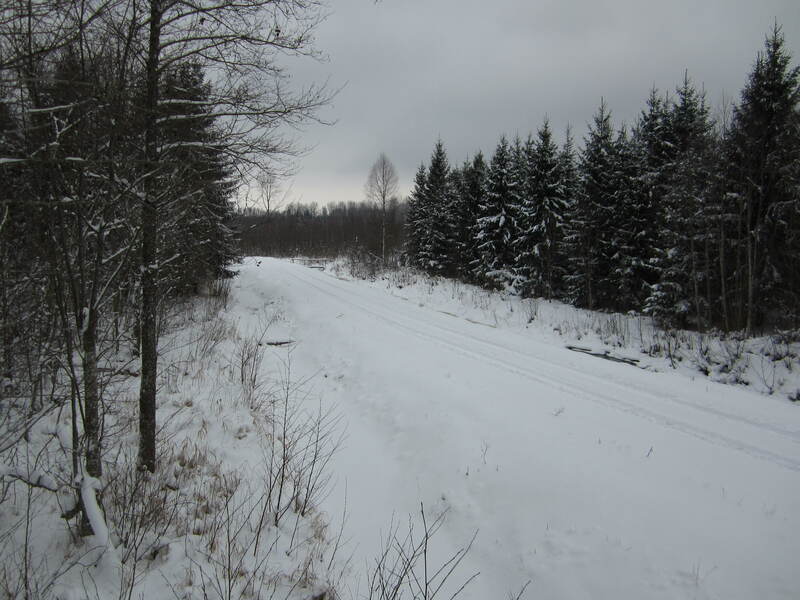 The driven hunts are good when there is snow, the guides use the tracks of the animals to know where they are and then we surround the area with the hunters, this is why it is important to have as many hunters as possilbe, it is good with around 15, if its necessary we have hunters to fill up a group. There are many high seats to wait during the hunt, usually we make 4 driven hunts per day. 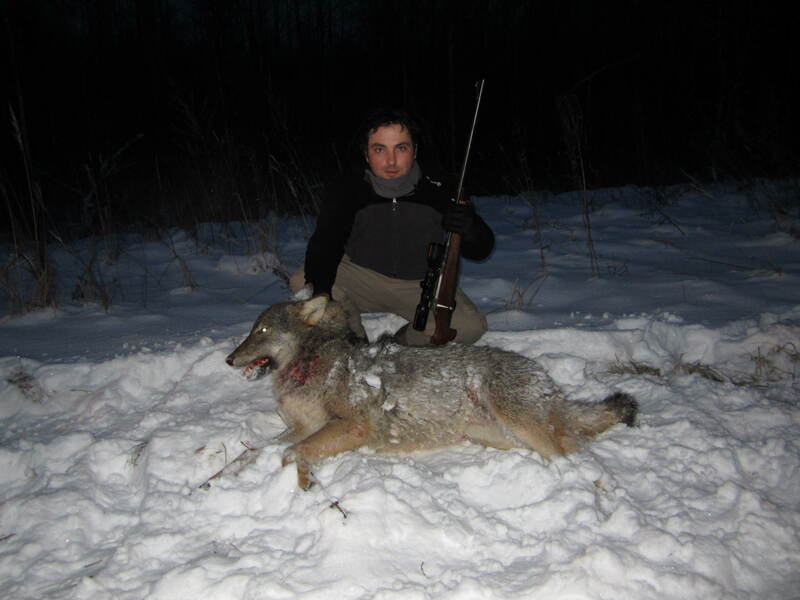 It is not rare to shoot wolf or linx during the driven hunts. It is possibe to combine it with hunting at night waiting in high seats in the feeding places, but you have to wear cold weather clothes as temperaturas can drop to -20ºC or even more! 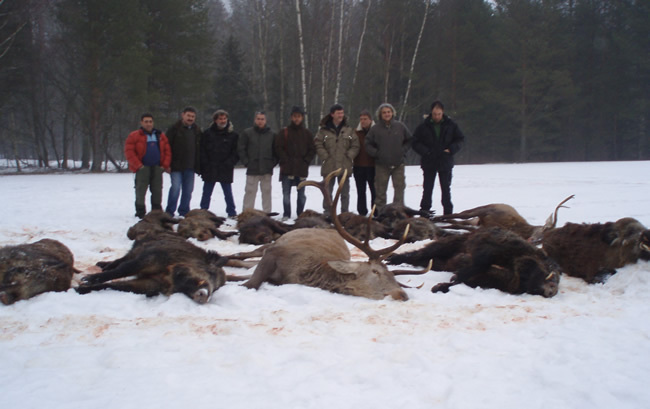 During a driven hunt in December you can also shoot moose, the best season for this is during first half of December, and for the wild boars during January. The red deer and moose can be hunted during the rut period or in winter in the driven hunts. The red deer can be also hunted at night in the feeding places. The roe deer hunting starts much later than in the rest of Europe, its horns are not very big but their prices are very good. 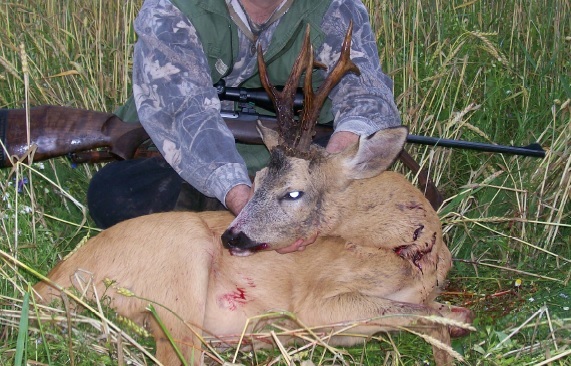 Usually we offer a package of 3 roe deer in 3 hunting days.